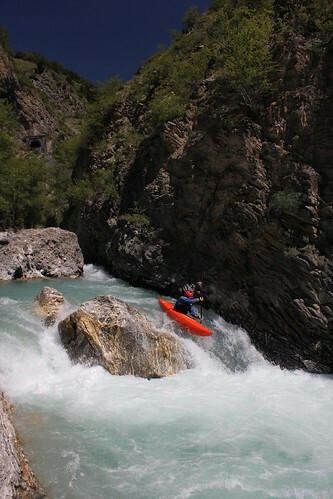 The French Alps have been a popular paddling destination for decades, and are often a UK paddler’s first taste of kayaking abroad. There are plenty of well-known classics, providing fast action-packed fun in the sun; but if you look beyond the classics, there are also many hidden gems ready for you to discover! This area has so much to offer that we run two separate trips: one for intermediate paddlers and one for advanced. Despite having spent several weeks here almost every spring/summer for over 12 years, we are still blown away by the magnitude and beauty of les Haute Alpes area every time we return. 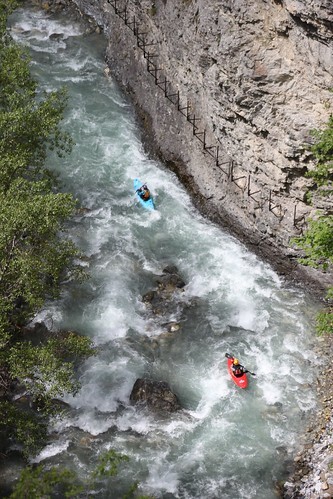 The dominating rocky peaks, the mix of blue snow-melt runs and grey glacier-fed runs, the history etched into the hillside, the easy logistics and usual sunshine… it’s no wonder it is a popular place to paddle! 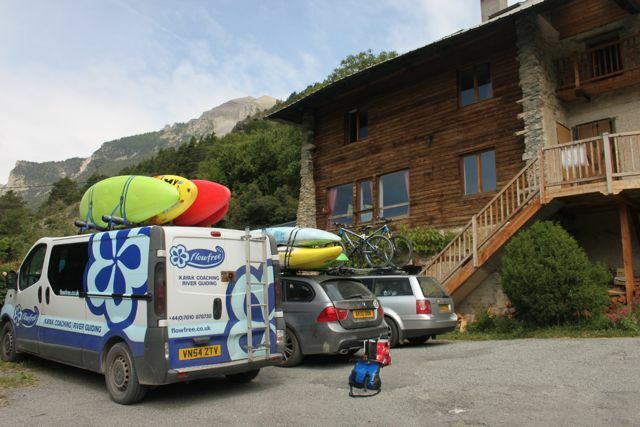 We will be based in picturesque chalet-style accommodation in the heart of the Durance Valley. 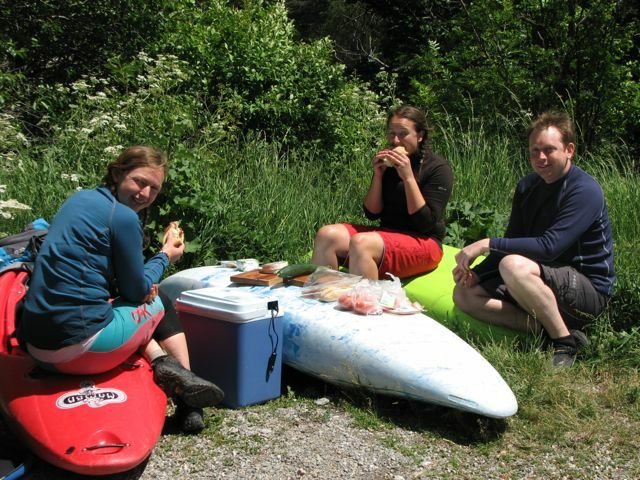 Wake up to stunning views, warm croissants and fresh coffee before heading out for a day of top-notch paddling. 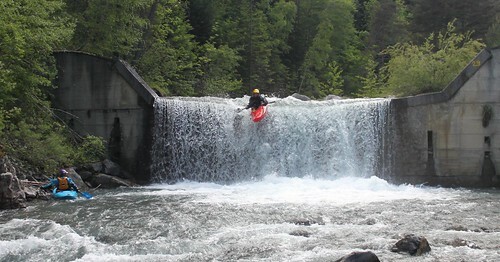 This convenient location means it is possible to tick off several sections, or simply have a lazy morning and still manage some quality paddling in the afternoon; it just depends what kind of experience you are looking for. Our years of experience in the area mean we have unbeatable knowledge to bring you the most from your trip. From knowing the best sections of river of every style and grade for any given river level, to knowing the best ice cream shops… we’ve got it covered! On the water you’ll get quality coaching from our world-class coaches, and with coach-student ratios never exceeding 1:4 you’ll be sure to get plenty of personalised feedback. We can structure the week to include as much formal coaching as you like, and can potentially include relevant BCU training / assessments as part of the trip. Speak to us if you have something in mind. 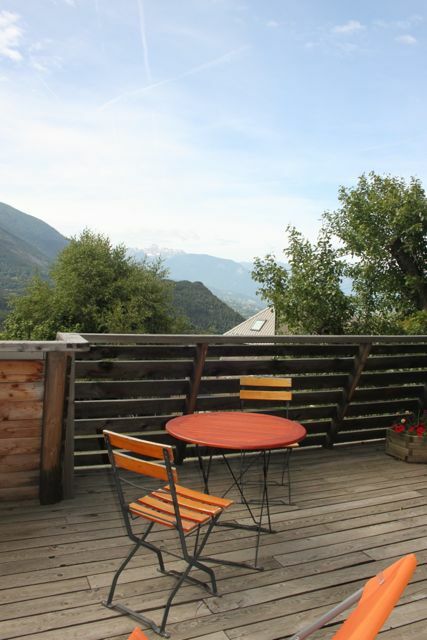 Includes chalet accommodation and top quality coaching & guiding. 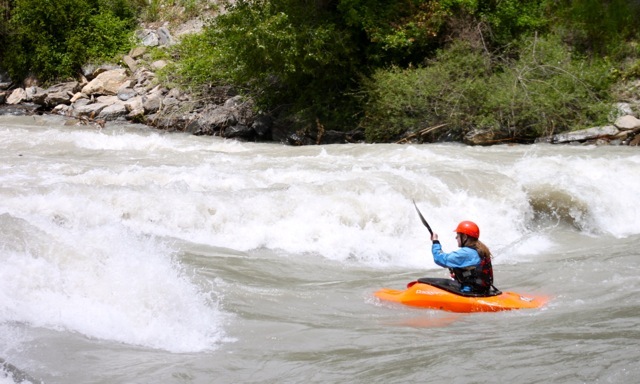 Price excludes food, personal travel insurance, alcohol, personal kayaking equipment and cost of travel to and from the Alps. Food is arranged on a self-catering basis, allowing for all dietary needs and tastes. Of course, grouping together or eating out are always options! 13-20th June 2014: intermediate. Grade 2+ to 3+, with the potential to push onto harder things – especially as a second run of the day. 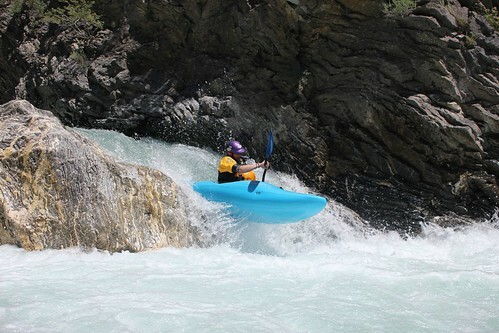 Example rivers: Lower & Middle Durance (sunshine run), Gyronde, Lower Guil, Upper Guil, Lower Claree, Upper Guisane, Briancon Gorge, Onde, Upper Ubaye etc. 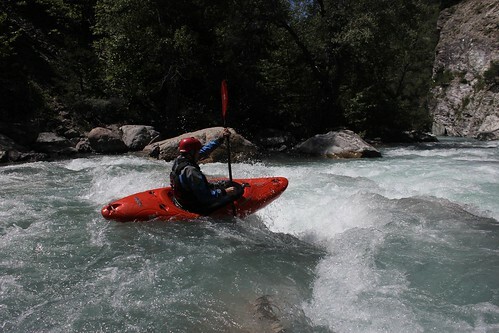 The rivers we do will depend on river levels and the experience of the group. 20-27th June 2014: advanced. Grade 3 to 4+. This week will take in all the classics and a few lesser-known runs of the French Alps, such as Middle Guil, Chataux Q, Ubaye Racecourse, Fournel, Gyr, Lower Guisane, Briancon Gorge, Durance Gorge, Romanche, Bonne, Veneon. 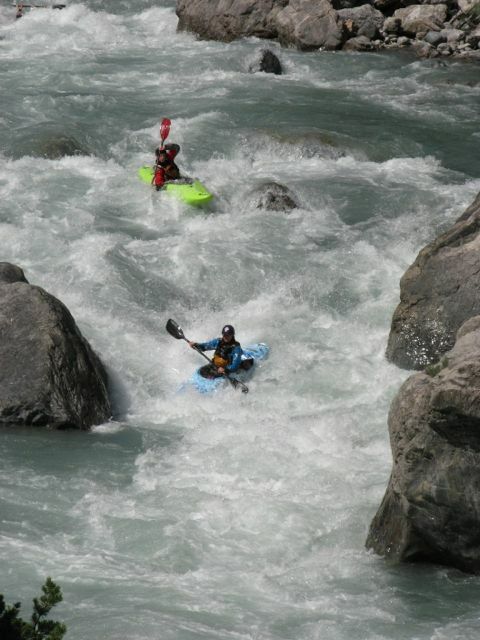 The rivers we do will depend on river levels and the experience of the group. Other dates can be arranged – contact us for more information. If you have a group already planning an Alps trip, consider hiring a FlowFree coach to work with your group / club. We guarantee you’ll get more from you trip with us to provide quality coaching, unbeatable local knowledge and the perfect support in order to push yourself. 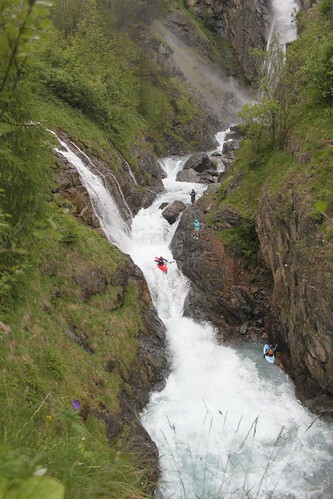 Video by one of the Advanced Alps gang 2014. Our chalet is spacious, so if you have non-paddling family or friends who wish to join the trip then they’d be more than welcome. There’s a host of activities in the area for them to enjoy while we are on the water. Get in touch for details.